Advance ticket sales have now opened! 100 % of all festival and bar profits go straight to the charity. 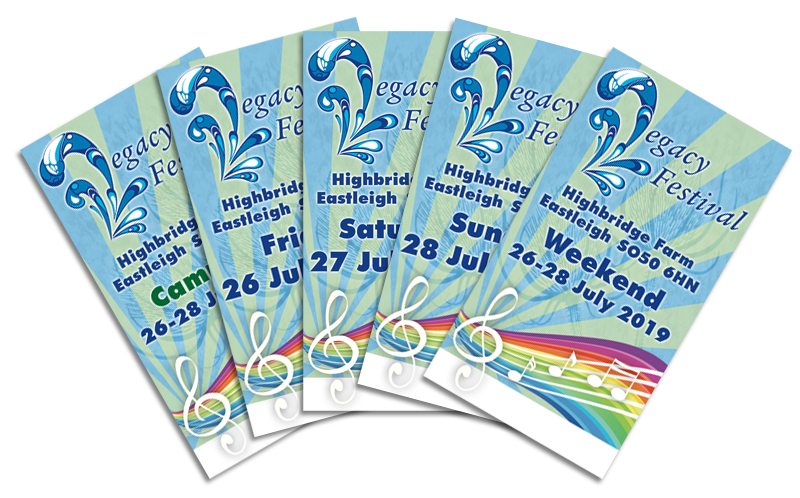 Festival supporters tickets: Friday £10, Saturday £12, Sunday £10, Weekend £30, Camping £10. On the gate (subject to availability): Friday £12, Saturday £15, Sunday £12, Weekend £35, Camping £15. Camping tickets are sold per person and only valid in combination with a weekend ticket. If you do not have a camping ticket you will not be able to camp over the weekend, even if you possess a weekend ticket. In order to cut costs to the environment and save funds for those who need our help we do not supply paper tickets for online sales. bring the conformation you`ve received by email either on your smart phone or as a print out. Buy your tickets with Paypal. Select your desired ticket and you`ll be guided to the paypal site where you can choose the number of tickets. Click continue shopping to order other tickets or check out to pay for your tickets. You don`t need a paypal account to pay online for your purchase. It is possible to pay by debit / credit card.